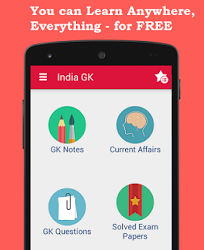 2nd August 2017 Current Affairs MCQs, Quiz, Questions: Current Affairs for August 2017, Daily Multiple Choice Questions (MCQs) for India GK, World GK and current affairs with Collection of daily objective type Question by www.Indiagk.net based on General Knowledge (GK) and General Science (GS) Questions for UPSC, State PSC, SSC, Police exam, Railway exam, SBI, Bank PO, IBPC, SSC, LDC, UDC, Army, Airforce, Navy, Coast Guard, Bank Clerk, TET and all entrance examination with current affairs News, Multiple Choice Questions (MCQs) available on Website www.IndiaGK.net and Android Apps with daily updates:. Which state Cabinet approves Religious Freedom Bill 2017 on 1st August? BookMyShow has acquired which media platform on Aug 1, 2017? US Senate confirms Christopher Wray as ----- ? Santosh Mohan Dev passes away on 2nd August. He was ---- ? Kishanganga Hydroelectric Plant is situated in which state?